Catholic Health is making the largest investment in the history of the health system, dedicating more than $100 million in state-of-the-art technology that will connect its hospitals, home care, long-term care, clinician offices, health centers and ancillary services with patients throughout the community. 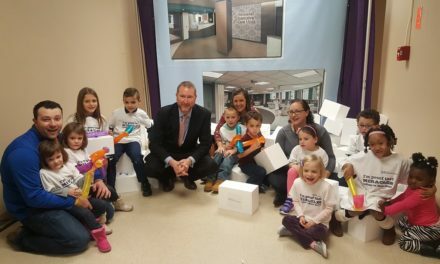 With Catholic Health’s large network, this transformational investment marks a major milestone in a healing ministry that dates back more than 165 years. Over the next 18 months, Catholic Health will transition to Epic, the most widely-used and comprehensive health record system in the country. Epic is used by a majority of U.S. News and World Report’s top-ranked hospitals and medical schools who are working collaboratively every day to improve patient care, innovate healthcare delivery and achieve financial health. More than half of Americans receive care at a healthcare organization that uses Epic. To create a technology center to build and test the new system-wide EHR, Catholic Health has announced a partnership with Canisius College to locate its 150-member EHR implementation team in the college’s Main Street Science Hall. Catholic Health will lease 25,000 square feet of space on the building’s third floor. Prior to selecting Epic, Catholic Health spent more than two years evaluating the country’s leading EHR platforms to replace its current system. More than 1,000 doctors, nurses, clinical and non-clinical associates, and management staff across Catholic Health and its affiliated physician group Catholic Medical Partners, participated in the vendor demonstrations and user surveys. An EHR replacement of this magnitude requires a significant financial investment; a dedicated implementation team of clinical, business, and information technology experts; and months of rigorous planning, building, and testing before it can be rolled out system-wide. Catholic Health will add about 40 new positions, which will join its existing IT team and technology specialists from Epic, to make up its EHR implementation team. As Catholic Health continues to position itself among top-performing health systems in the country, Epic will give the Buffalo-based health system the ability to benchmark itself against the nation’s leading providers and access to a vast library of analytics and best practices that are setting new standards for quality outcomes, patient safety, and population health management across the U.S. The more than $100 million investment will be the largest in Catholic Health’s history. 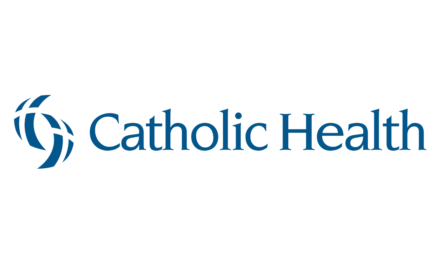 Catholic Health has been a pioneer in electronic health records (EHR), and was one of the first in the region to implement an EHR system in 2000. To elevate its technology to the most state-of-the-art in 2019, Catholic Health engaged Epic Systems Corporation, the largest EHR system in the country. Patients will benefit from MyChart, Epic’s intuitive patient portal for mobile, tablet and desktop applications. MyChart gives patients access to valuable health information to monitor and manage their care, allowing them to view test results, personalized care plans, and health and wellness information. It also provides greater connectivity to message providers, make appointments and pay bills online. For Catholic Health’s care team, Epic improves care coordination by providing an integrated, single source to access and seamlessly share health information with providers, improving clinical efficiency, productivity and satisfaction. Epic’s interoperability platform, Care Everywhere, allows Catholic Health providers to exchange clinical information with other Epic users anywhere in the county, as well as other providers that use different EHRs. Catholic Health will lease 20,000 square feet of space from Canisius College on the third floor of its Main Street Science Hall at 1901 Main St., Buffalo, where at least 150 team members will work to facilitate the implementation. Catholic Health will be recruiting 40 new information technology, clinical and business specialists to make up its 150 member EHR implementation team. Catholic Health’s EHR implementation will take approximately 18 months, with go-live in late 2020. 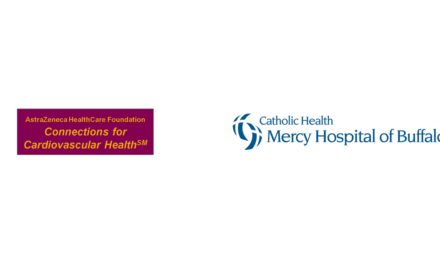 More than 1,000 doctors, nurses, clinical and non-clinical associates and management staff across Catholic Health and Catholic Medical Partners participated in the selection of the Epic System. Epic protects and manages 64% of all patient records worldwide, working with elite health systems and medical schools including Mayo Clinic, Johns Hopkins, UCLA Medical Center and Cleveland Clinic. More than 200 million patients worldwide currently have their medical records in an Epic system.